Video games may be the glue that holds TAY together (that and funny Gif arguments) but for many of us, video games are not the only hobby we have. In fact, in addition to blowing the heads of zombies and running over hookers with stolen cars to save money we are also quite creative. Hence this new feature! Do you make stuff? Cosplay? Forge swords or put together model kits? Then Craf-TAY Corner is for you. Talk about your current projects and show off your work, finished or WIP. As many of you know, I mostly do webcomics, but in addition I also do a lot of crafty bits. 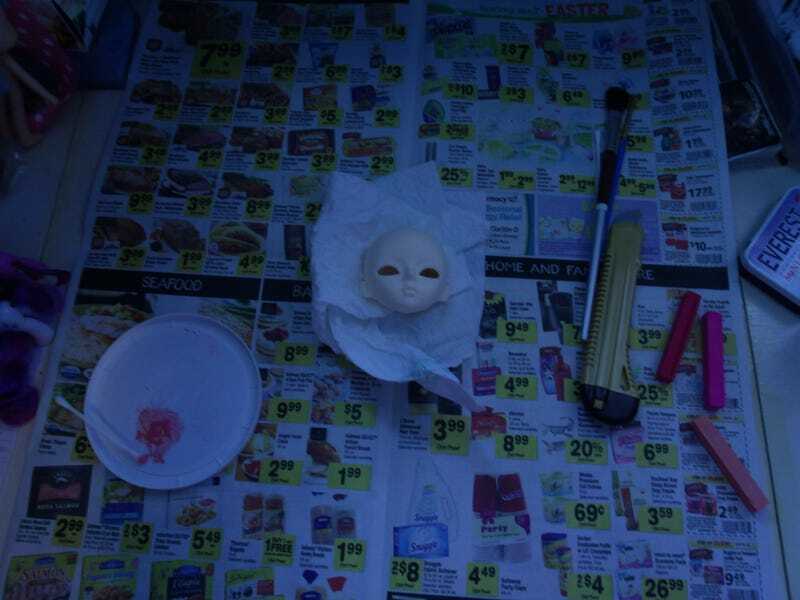 My biggest thing is working on dolls, whether that's repainting/reworking Barbies, or making brand new dolls. Currently I've got two in the works. One is a small 27cm size BJD that I'm making into Marik from Yugi-Oh while the other is a 1/6th size BJD. For those who are unfamiliar, BJDs or Ball-Joint Dolls are like really girly, really expensive GI Joes for adults. My mom has been wanting to break into doll clothing so we went halfsies on a Hujoo Yumi model. I paint and wig it, she'll dress it. A month ago I blushed the doll and a couple of weeks ago I painted it. So what projects are you currently in the middle of? Go forth and share, my minions!